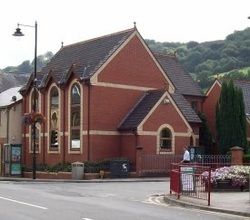 There is a small car park adjacent in the Church grounds or park in a nearby street. Buses - Stagecoach routes 56, 151, R1-R6, X15, X16, X17, X18all stop very close by at the Spar Shop or Moriah Chapel opposite. Trains - Risca & Pontymister station is a 10 minute walk away on the Cardiff to Ebbw Vale railway.